“Conscious Uncoupling” – What does it mean? 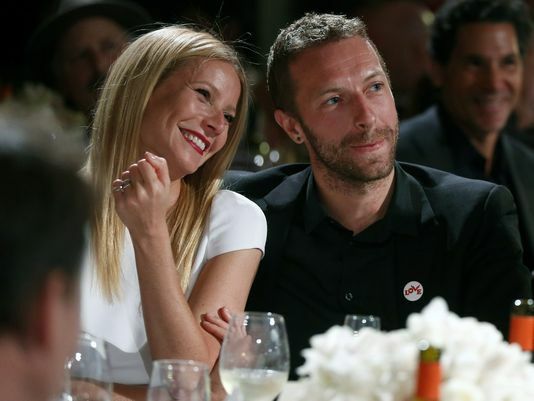 The phrase “conscious uncoupling” made the news this week as Hollywood couple, Gwyneth Paltrow and Chris Martin announced their split. The couple used the phrase to describe their separation, and what we can only assume to be their impending divorce. The term “conscious uncoupling” left people around the country puzzled by what it actually means. While the term may be new or fairly unknown, we can assume several things about “conscious uncoupling”. First of all, based on the blog post on Paltrow’s website Goop, it sounds like the couple has been working hard on their relationship and have now decided to amicably split. From a family law perspective, it sounds like the couple will be perfect candidates for mediation or collaborative law to handle their split. These methods of non-adversarial “decoupling” are nothing new in the family law realm. Our Indiana divorce attorneys routinely practice in both mediation and collaborative law as an alternative solution to litigation for our clients. Mediation is a non-adversarial alternative to litigation wherein the parties work together, with the help of a neutral third party “mediator,” to determine their own outcome, as opposed to having a result imposed upon them by a court. Mediation typically occurs in an office rather than a courtroom, making the process less formal than a court proceeding. The mediator does not decide the outcome of the dispute, but rather assists the parties in reaching their own mutually acceptable resolution. A mediator may inform parties of certain applicable laws, rules and guidelines so that parties may have the information necessary to make well-reasoned decisions. Mediation can result in quicker dispute resolution since mediation occurs at the parties’ and mediator’s convenience, as opposed to judicial proceedings which are often scheduled months or even years in advance, depending on the court ‘ s calendar. Because much of the necessary exchange of information between the parties can occur at mediation as opposed to gathering the same through time-consuming and costly formal “discovery,” mediation tends also to be less expensive than litigating a dispute through a court proceeding. In family law matters involving children, mediation can set the stage for future peaceful and cooperative parenting, as opposed to the hostile and uncooperative parenting relationships which too often follow bitter and lengthy legal battles, and which typically have a profound negative effect on children. Collaborative Law is another alternative dispute resolution process in which the parties retain separate attorneys whose primary function is to help them reach an agreed settlement. The parties and their attorneys collaborate in good faith, and commit to communicate respectfully and honestly to represent the legitimate needs of both parties. The best candidates for the collaborative process are parties who, among other factors, want a civilized, respectful resolution of the issues, would like to keep open the possibility of a friendship with the other party, will be co-parenting children together and want the best co-parenting relationship possible, and want to protect their children from the harm associated with protracted, contested litigation. It is impossible to know the exact circumstances surrounding the separation of the Hollywood couple, or any couple, for that matter. However, it is to be commended that the parties have already stated that they are respectful of each other and are committed to coparenting together. While amicable separations are not possible in all situations, it can be said that the commitment to parenting and causing the least amount of emotional trauma on the children is always a step in the right direction when dealing with difficult matters such as divorce.